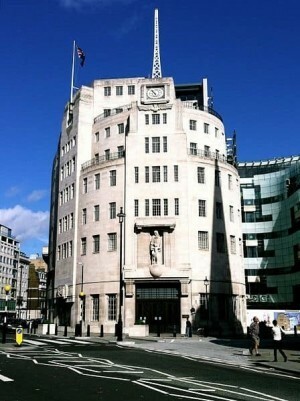 Yesterday, the BBC unveiled its new home of news near Oxford Circus – Broadcasting House, which has actually been there providing us with news and entertainment since 1932. It is an established part of the media scene and its iconic image is well-known worldwide. During the coverage of the change to the way BBC News operates, the channel also revealed that every night, twice a night, it will be running a half-hour programme simply called “The Papers”. This will be a review and analysis of the next day’s newspapers, supposedly saving you the bother of going out to but them. But the newspaper proprietors love this kind of newspaper review, because it raises interest and helps increase sales. But why, might you ask, is the BBC busy helping to promote newspapers when it could well be promoting its own extensive online news service? After all, millions of people now get their news online, rather than via newsprint. So why waste time in this fancy new studio with its cutting edge technology looking at old-style media? The answer is simple; traditional media still rule. Indeed, they are a significant presence on the web. Take a look at Alexa’s rankings of website popularity. Once you wade through the variants of Google and go past the various Chinese sites and other web-only services, the first offline brand you find at No 56 in the charts is the BBC. In the UK listing, it is the 7th most popular website. The Daily Mail and The Guardian also both make it into the Top 20 websites in the UK. Where do people go for news online? Do they go to “new” news services or the BBC, CNN, the New York Times, The Times, and so on? Yes, they go to traditional media sites, in their millions. Indeed, the UK’s Guardian newspaper has so many viewers of its video news worldwide that it needs 7 studios in its newsroom to help satisfy the demand. Whatever we might think about the way the online world has changed our behaviour, it has not changed our affection for traditional media. And that is shown in new research from the TV Licensing organisation in the UK, TeleScope. This found that 40% of all Tweets are about television programmes. In other words, one of the biggest proportions of what we chat about on Twitter is about traditional media stuff. So what does this mean for online businesses? It means that if you want to be noticed online you need to be in the traditional media…! Far from being less important because of the Internet, good old-fashioned print, radio and TV are now more important than ever.